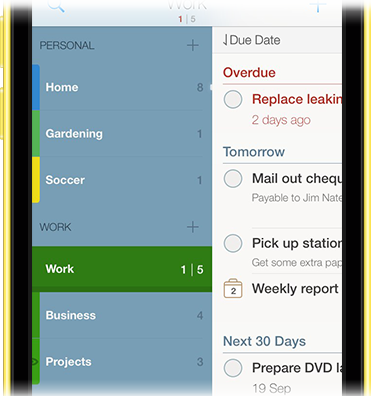 2Do – GTD, XYZ and everything in between.  A powerful task manager. 2Do was designed to meet your need for speed. Quickly enter your thoughts and ideas before you forget. 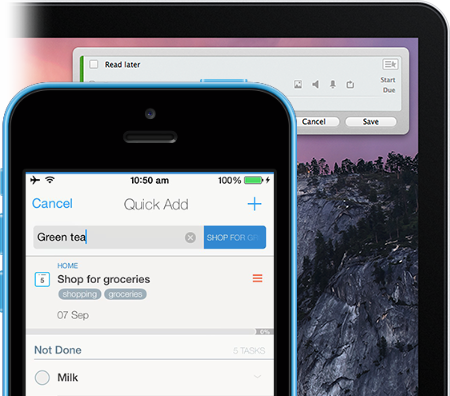 Quick Add on iOS allows you to enter multiple tasks in a matter of seconds. Quick Entry on Mac, on the other hand, is a full-fledged task editor accessible from anywhere and at any time, including when 2Do isn’t running. 2Do’s simplistic appearance is only skin deep. It can be a simple to-do list, helping you in staying on top of your daily chores, or a full-featured GTD tool for heavy taskers. It houses an incredibly powerful productivity-aware engine, and can be as fierce as your workflow. 2Do offers the perfect blend between a rich feature-set and ease of use. From an exhaustive set of Sort, Focus, Tag, Location and Date-Range filters, 2Do will surprise you at every corner with the amount of thoughtfulness and care for detail gone into developing it. 2Do will give you complete control over all your workflows. List in 2Do give you the freedom to group related tasks together and apply sorting, search filters and focus filters on each list separately. 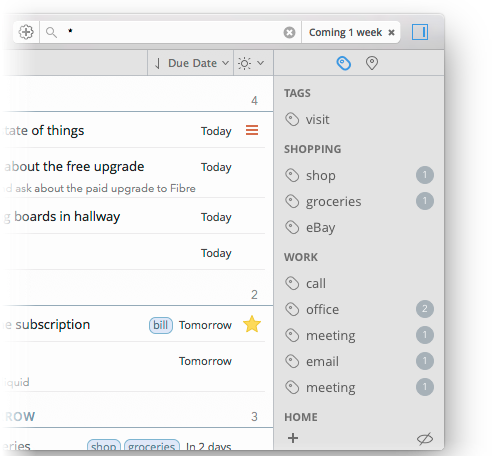 Combine this now with List Groups and you get a seriously organized task management system.  List Groups are to Lists what Lists are to Tasks. Become organized. Keep related tasks and projects together under color coded lists. Take control of your complicated life by using a combination of tasks, projects and checklists. From dynamic date-range searches to full-text soundex searches, 2Do does search like no other. 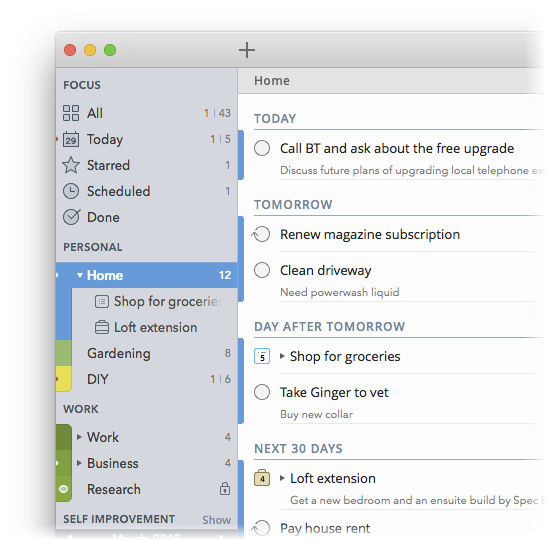 Create powerful perspectives of your tasks, saving you the time spent finding specific tasks otherwise. Manage your tags, assign them to tasks and quickly find tagged tasks all from a single location. Toggle between displayed tasks and filtered tasks based on a pre-defined set of focus options. Create multiple notification for a single task, sound or a text alert: your choice. 2Do will nag you till it’s done. Add tasks quickly one after another, from anywhere. Quick Entry works even if 2Do isn’t running in the background. Your life is a private affair. 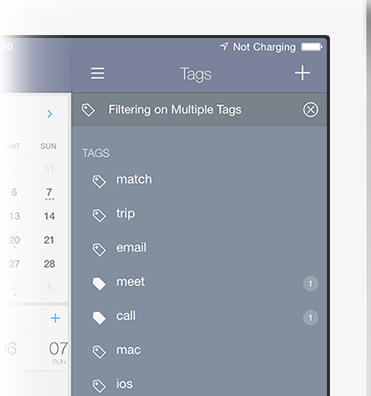 Manage it by locking out individual lists or the whole app with a single click.  See only the tasks that matter. Get automatic alerts every time there’s something to be done nearby. Batch schedule multiple tasks in one go. Drag and drop on the calendar or the Scheduled list to schedule quickly. Automatically created for you, at frequent intervals.